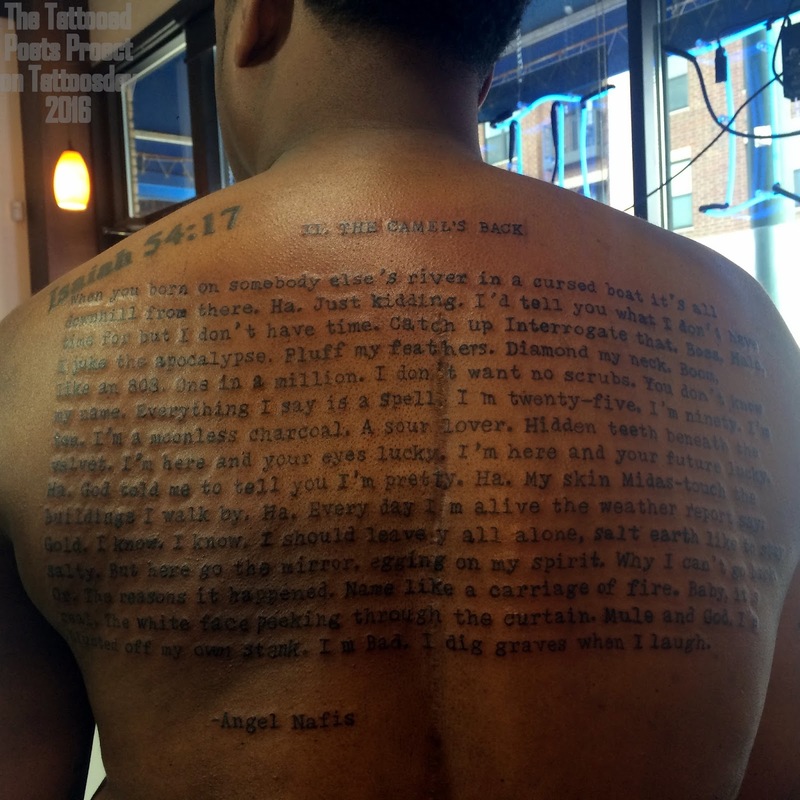 "i got this tattoo of my good friend Angel Nafis’ poem last summer. the summer before, i had heard her read it on a magical and rainy morning in Brooklyn when i was visiting her. Have you never heard a poem and realized you’ve been waiting to hear it? That even on that first listen or read it just takes you up in familiar arms and imprints itself on your soul? that’s how i feel about the poem. I had been saving the prime back space reality for something that i wanted to dissolve into the earth with, and this is it. Joshua Bennett had some really smart stuff to say about the poem here. This poem is a religion, and Angel is a saint. Now my back is my bible. Hallelujah. i got the tattoo at a tattoo parlor down then apartment in Minneapolis from my house last year. It was called something else at the time, but now the shop is called Steady Tattoo. I wanted to go for a typewriter feel, and i wanted the text to be bold and asking to be read. something to make we feel like she typed the poem on me." placing 2nd in 2014, and a 2-time Rustbelt Poetry Slam Champion. Danez is a member of the Dark Noise Collective. They from St. Paul, MN. you can find them at danezsmithpoet.com and @danez_smif on twitter. 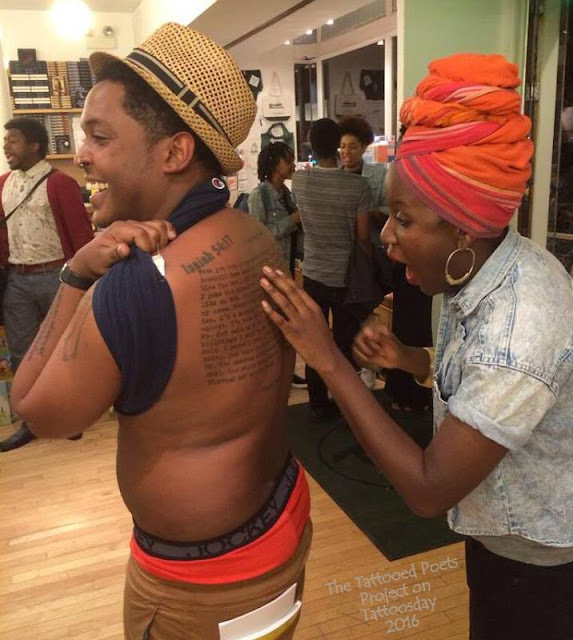 Thanks to Danez for sharing his tattoo and poem with us here on Tattoosday's Tattooed Poets Project!